military exposure in grades 6-8. The 80-year old facility was experiencing system-wide plumbing failures in the hot and cold potable lines. Pinhole leaks, low water pressure and discolored water were all rampant. The academy required repairs to occur during operations so cadet safety was a high priority. As added safety, all contractors and their staff required Level 2 security clearance including background checks and fingerprinting. The project consisted of the complete restoration of the water supply mains, risers and branch lines for the atrium style, 90-room facility. The project took approximately four months to complete. Using ACE DuraFlo’s ePIPE®, the academy was fully functional and completely safe throughout the process. Enlisting the service of Florida Pipe-Lining Solutions, this 50 year old mid rise building is currently being transformed into Island Way Towers on beautiful Island Way Estates in Clearwater Beach, Florida. The former Dearborn Towers apartment building was built in 1962, and was comprised of 88 units. Purchased by Island Way Towers, LLC in 2012, the building was structurally sound, but in need of aesthetic work and pipe restoration. Greg Hembree, Development Consultant and General Contractor for the Hembree Group, brought in Florida Pipe-Lining Solutions to perform the restoration of the potable water system. 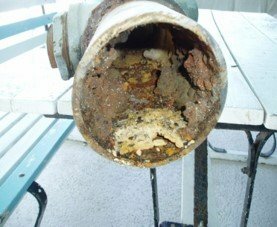 Under the project management of Master Plumber, David Baker, FPS began the ePIPE® restoration of over 11,680 L.F. of rusty piping ranging in size from 1⁄2” to 4”. In addition to installing new main and riser valves, the project also includes the engineering and installation of a new hot water system with 1,000,000 BTU Gas water heater. 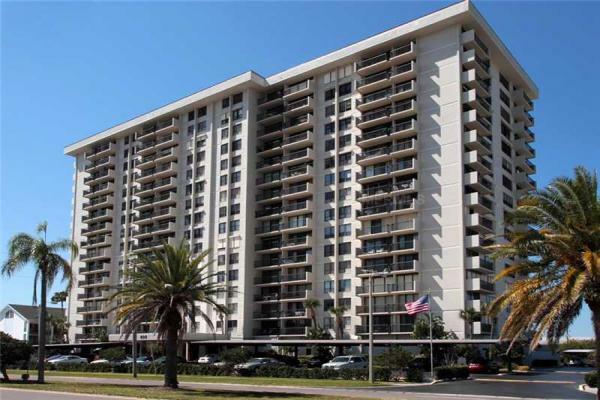 Florida Pipe-Lining Solutions is excited for our part in the restoration and transformation of this property to the luxurious 54-unit Island Way Towers with its new place of prominence on the exclusive Island Way Estates. 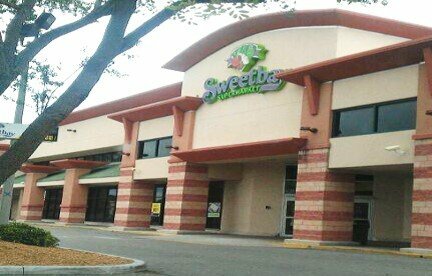 Midtown Plaza is a busy shopping center located in the heart of Sarasota. Their regular clientele stop in for coffee on the way to work, to have lunch or pick up some groceries on the way home. Recently they had a leak on their 2∏” water service that runs under the parking lot and then overhead above their dropped ceiling. Leaks in this overhead portion of the water service could adversely affect multiple businesses in this busy plaza. 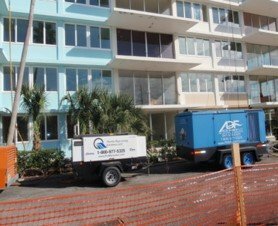 Replacing the 140’ of water service would be very disruptive and costly, so the owner chose the non-destructive ePIPE® System from Florida Pipe-Lining Solutions. Holder of 8 Patents, this unique barrier coating system restored the copper pipe to a like-new condition without the destruction, mess, and remodeling associated with re-piping. As Florida’s Leader in pipe restoration, providing our clients with the highest quality service, workmanship and safety is our mission. Working at night so as not to disrupt the multiple businesses, the project commenced, the ePIPE® Technicians shut off the water supply, then used compressed air to dry and clean the inside of the piping. After the cleaning, they installed the ePIPE® epoxy barrier coating to the inside of the copper water piping. The ePIPE® coating provides a durable porcelain like finish that seals and prevents leaks from returning. After the ePIPE® barrier coating was cured, the newly restored piping was put back on line, pressure tested and put back into service. In the morning, water was back on and the leak was gone. All without the destruction and disruption to this busy plaza that re-piping would have caused and the ePIPE® epoxy lined water pipes are warranted not to leak for years to come. The Raymond O. Shelton School Administration Center (ROSSAC) was built in 1978. 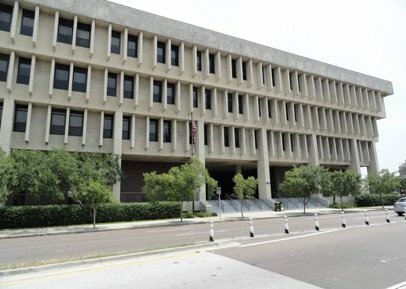 Located in downtown Tampa, it is the home of the Hillsborough County School Board and school administration center for one of the largest school districts in the United States. The ROSSAC Building was suffering from leaks and rusty water in their water piping. Putting together a plan of action to completely restore the water piping in their building was the first step. The ePIPE® Techs from FPS first shut off and drained the water system. After using compressed air and sand to clean years of corrosion from the interior of the piping, they replaced all of the isolation valves and installed the ePIPE® epoxy barrier coating. After the newly lined piping was dry, the entire system was tested and put back on line. 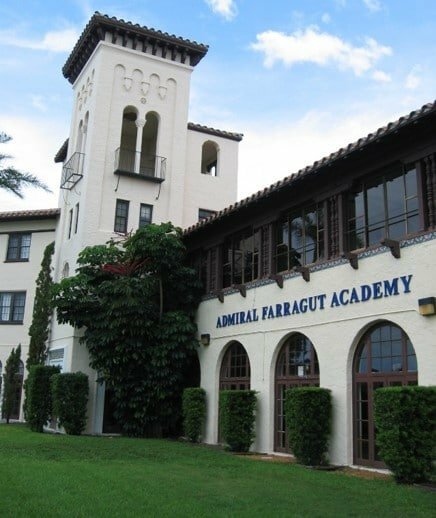 While they could have chosen to re-pipe the ROSSAC building, the Hillsborough school officials knew what kind of disruption this would have been and instead chose the proven ePIPE® System for a stress free and permanent solution to their rusty water and pinhole leaks. SATISFACTION AT THE ROSSAC BUILDING. The unique and Patented ePIPE® epoxy barrier coating system is NSF-61 approved for drinking water. Working over Thanksgiving and Christmas holidays to accommodate the busy schedule at the ROSSAC building, the FPS Techs finished the project in 4″ weeks. After the restoration of the piping, the leaks were gone and thanks to the smooth, corrosion-free interior of the pipes, their water pressure is back. The ePIPE® restoration of their piping prevents future pinhole leaks and stops LEAD leaching into their water supply, all without the mess and destruction of re-piping. “The FPS crew did a great job; everything went smooth” said Alice Sutton. ROSSAC workers were very satisfied.